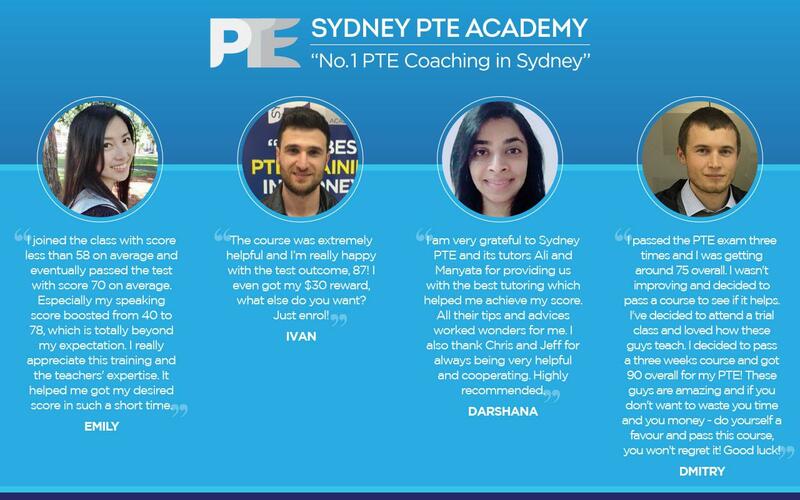 Sydney PTE Academy specializes in PTE preparation coaching and PTE tutorial. By focusing exclusively on the PTE Academic test, we have developed the best tools and approach to preparing for this exam. Study with us and learn from the best! 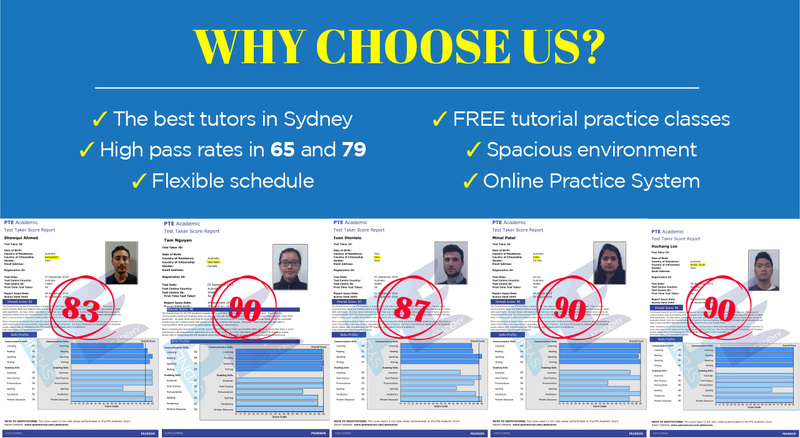 Sydney PTE Academy offers the best quality PTE preparation classes in the Sydney area, which take place in a modern facility and international environment. Our aim is to help students practice the skills required for and tested by the PTE Academic exam. With our well-structured and comprehensive courses, based on modern communicative coaching methods, our students have a great chance to succeed in getting the desired results and meeting the requirements for their visa or university. 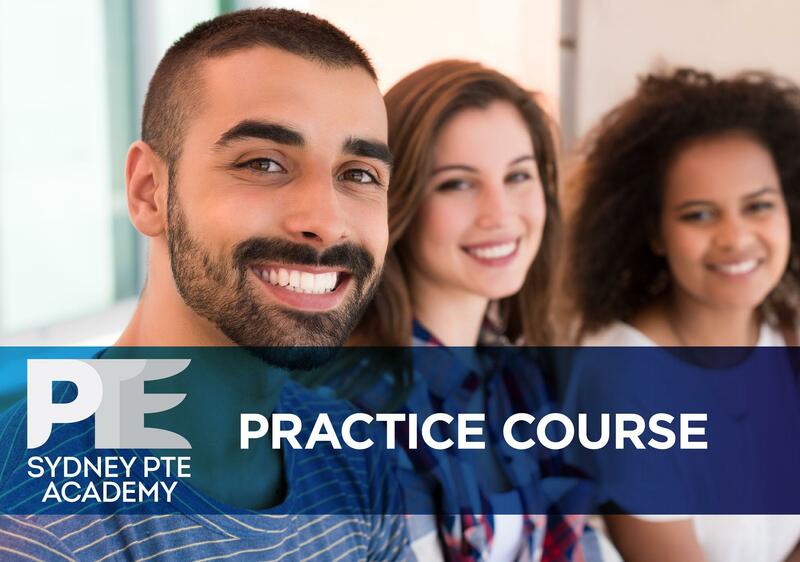 This PTE preparation course is designed for students who need PTE scores in order to get more points for immigration and/or academic purposes. 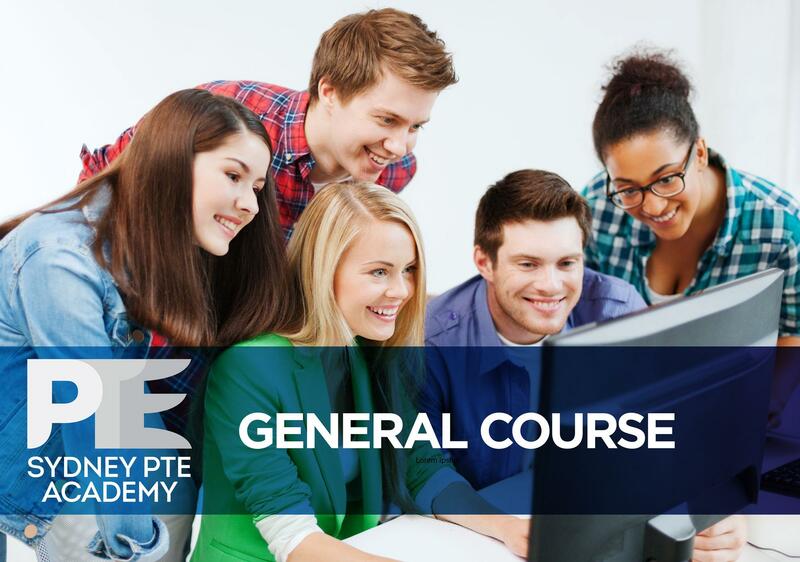 This 2-week advanced PTE Course is perfect both for students who have already taken the PTE exam but need to improve their score. Our experts have been very successful in helping students achieve their desired marks, either 79+ or even as high as 90 out of 90 in a short time. If you need solid PTE preparation within a short period of time, our offer is made for you both courses and PTE tutorial sections. Our flexible timetable with classes available 6 days a week will allow you to fit PTE practice into your schedule. This is an intensive course for those students who have limited time available and who wish to gain the same results as those from a 4- week course but in a shorter time. This course is intended to provide the training required to achieve a result of 79+ in the test. 1 A trial PTE preparation class – One free class to try before you enroll! 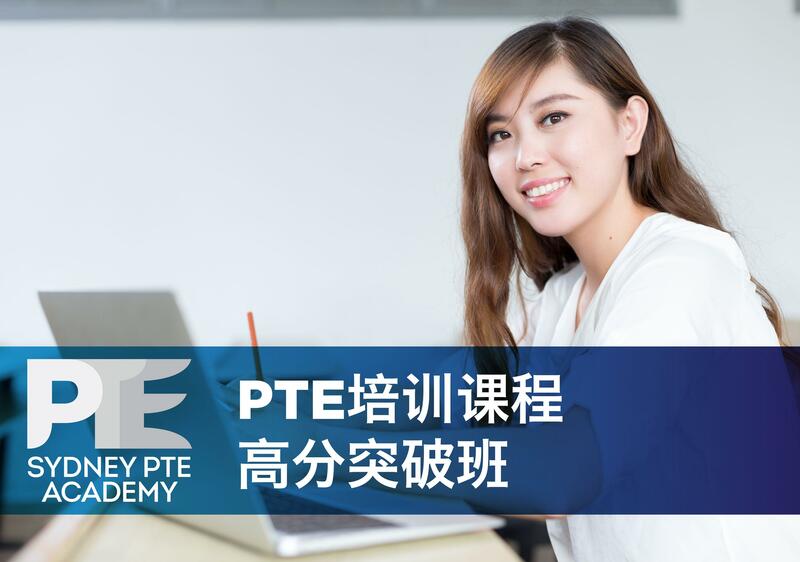 Come join us for a PTE trial class, where you will get some tips and information about the PTE Academic exam and the preparation courses we offer. We encourage you to visit our great teaching center and meet our student-oriented experts. After taking the class our staff can answer any questions you might have about the course or learning materials. Book Now ! 2 Great facility with computers for all students! PTE Academic is a computer-based test, therefore training on a computer is extremely important! This way you will feel more comfortable and confident when taking the test for real. Our multi-media classroom is equipped with projectors as well as laptops for PTE teaching and practice, available for use during the class. 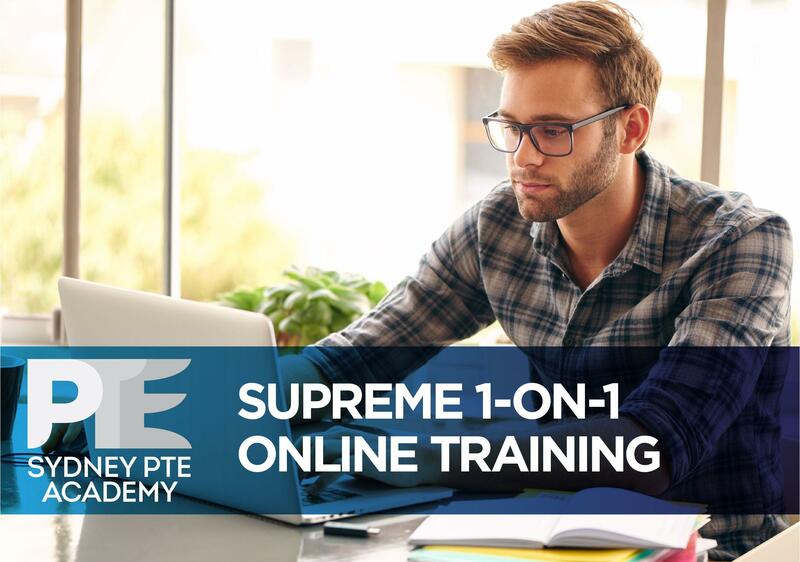 In addition, we provide an extra 10 hours for PTE online exercises and software practice to everyone studying with us, completely free of charge. 3 Affordable course fee plus tips & tricks that you will not learn from the books! Our PTE Academic experts will provide you with plenty of valuable advice and tricks on how to tackle each exam question. If you would like to maximize your chances of passing the test, purchase this complete package course, including enough practice time and presenting all the effective strategies to get you through the whole exam structure and help your test go smoothly on the day. 4 PTE Online practice system for more authentic experience! We provide a 10-hour PTE online practice system for all students to prepare for the PTE Academic test. Each student will have one account to log into the system in order to practice every type of question. Such an PTE online system is similar to the real PTE exam. Furthermore, our headphones for the PTE online system and computer exercises are the same as those used in the actual PTE exam, which offers students a more realistic environment to the real exam conditions. In such, students can be more familiar with PTE Academic exam and build more confidence. 5 Our new convenient Sydney CBD location near Town Hall station ! Our new center is located on Level 1, 515 Kent Street, only a 5-minute walk from Town Hall station, saving your time and money on the commute. The more hours of study you get, the higher your chances of succeeding in PTE Academic. 6 Experienced, highly qualified teachers with best PTE tutorial ! Our expert Manyata has extensive experience in teaching English as well as a certificate from Pearson, being an accredited PTE Academic tutor. With over 2 years of PTE coaching experience and having worked at the best schools in India, she has been very successful in helping students improve their PTE scores and achieve 79 out of 90 in a short time. See students who achieved over 79 on our Facebook page. Our expert Ali is a skillful teacher who has got a double degree at the Australian National University with GPA 3.59 as well as PTE teaching and PTE tutorial experience in Australia. He also got full marks (90 out of 90 in all four sections ) in his PTE exam. His clear and easy to understand explanations are strongly appreciated by our students, as he guides them through to getting the desired scores. One-to-one tutorial - 50% discount on the first hour one-to-one session with our expert if you purchase our course. PTE Academic is a computer-based test which can be a valid substitute for IELTS for both academic and immigration purposes (PTE 65 = IELTS 7). PTE’s error-free computer marking means consistent scores and no potential for examiner bias or mistakes. In addition, results are delivered in one to five business days and test sessions are available multiple times a day, 363 days a year.